Gustav Klimt was an Austrian painter born in Baumgarten on July 14th, 1862, the son of a gold and silver engraver, something that would become present within his works. Gustav Klimt had formal artistic training at a Vienna visual art college. Upon graduation, Klimt opened up a studio with his brother and a fellow student from college and found considerable success from early in his career. At the beginning of his professional career, Gustav Klimt was commissioned to paint several murals and ceilings of various public buildings in Vienna. By 1888, Klimt received the Golden order of Merit from the Emperor for his contributions. In 1892, both his brother and father died and from this point Gustav Klimt’s art style would take on a different form. Klimt’s style was characterized primarily by the heavy use of elegant silvers and golds with themes marked by a frank eroticism. This style was considered quite radical at the time and his works were often criticized for their stark sexuality. Gustav Klimt founded a society of alternative artists, very similar to the Impressionsts in France. Unlike the impressionists, however, his collective did not enforce any one particular style of art. 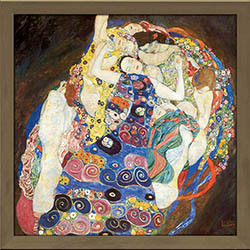 FramedCanvasArt.com is offering a selective collection of Gustav Klimt art prints. 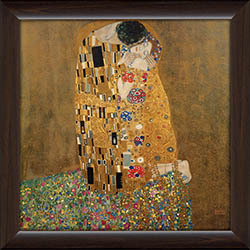 Each Gustav Klimt art print has been professionally framed, matted and canvassed, ensuring the highest quality product. 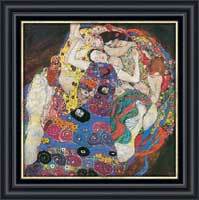 These Gustav Klimt art prints come in a variety of sizes and start from as low as $49.98. 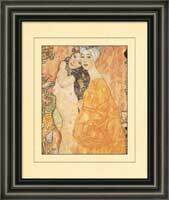 If you find Gustav Klimt’s paintings as fascinating as we do, we encourage you to browse our gallery of Gustav Klimt art prints. 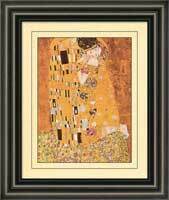 To place an order for your Gustav Klimt print today, contact us at 1-877-480-7189. 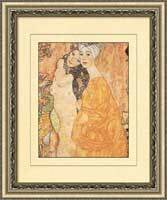 We will ship your Klimt art print to anywhere in North America.